HomeA Game-Changer for Charitable Organizations and Causes? A Game-Changer for Charitable Organizations and Causes? Jumo, the newest social network focused on charities and social activism. There’s a new international social media resource being launched. Jumo, which was unveiled this past week in a beta test version, aims to connect people with not-for-profit causes and charitable organizations. 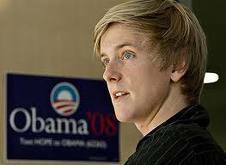 The founder of Jumo is Chris Hughes, a co-founder of Facebook who more recently served as director of online organizing for Barack Obama’s presidential campaign in 2008. He sees Jumo as a way for people to find and evaluate organizations that focus on the causes that interest them. Such organizations can range all the way from health and educational initiatives to ones dealing with advocacy issues such as gay rights. News articles, YouTube videos, Twitter posts and other content will be added to Jumo pages, and users can also add their own comments and feedback. What’s the inspiration behind Jumo? It’s to establish a social platform focusing on issues, advocacy and not-for-profit organizations rather than on personalities or branded products. “The more connected [an] individual is to an issue they care about, the higher probability there is they will stay involved over a longer period of time,” Hughes has stated.  Millions of people are working to improve the lives of others, many of whom lack the resources to have major impact.  There are millions of other people who would want to help, but don’t know how.  Despite where we are with technology, it’s still difficult to find meaningful opportunities to get involved. Jumo provides a platform wherein people can discover the type of causes and organizations they care about, follow the latest news and updates in those fields, and support the work of these organizations through the donation of skills, time or financial support. In Hughes’ view, this is what differentiates Jumo from social media platforms such as Facebook, which also allows the creation of pages for non-profit groups. Facebook’s groups tend to be passive, with many an individual’s interaction going little beyond “following” or “liking” them. Hughes believes there will be significantly more volunteering and giving associated with the people who interact with organizations on Jumo. And if that happens, it may finally fulfill the promise of online platforms enabling not-for-profits to raise money more efficiently and less expensively than via traditional means. That’s a goal that has been stubbornly elusive to date, as only about 5% of all U.S. donations come from online giving, according to the Blackbaud Index of Online Giving. How does Jumo intend to grow and thrive in the online world? As a not-for-profit initiative itself, it plans to rely on payments from users and sponsorships from groups that would like to receive more highly visible promotion on the site. Jumo already contains ~3,000 charitable organizations and issues-oriented groups which have been “seeded” on the site. But any organization that is certified as “tax exempt” is eligible to set up a page on Jumo. Is Jumo destined to transform social activism? Only time will tell … but it will be interesting to see how this interesting new venture evolves and grows in the coming months.